After a long hot summer with only clear blue skies, this bird is longing for a refreshing shower. Funny and a sweet illo..
Wow, I really like your whimsical, hardedge style. 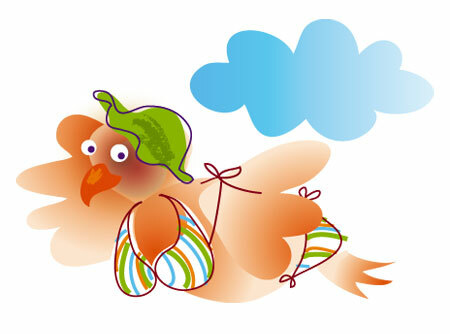 So fresh and love the little birds expression, and her very cool bikini. Love the creative idea and your artwork.